What is your starting point when you’re creating your business or personal goals? Unless you have been living under a rock for the past several years, your answer will be “the WHY! Of course, I start with WHY”. The concept of starting with WHY came from a genius TED talk and book by Simon Sinek. Having said that, working on my own business, and working on my clients’ businesses, I saw that waaay before the WHY — we need to know WHO. Like Tom Bilyeu says: “Identity drives behavior”. E.g. we act based on WHO we think we are. 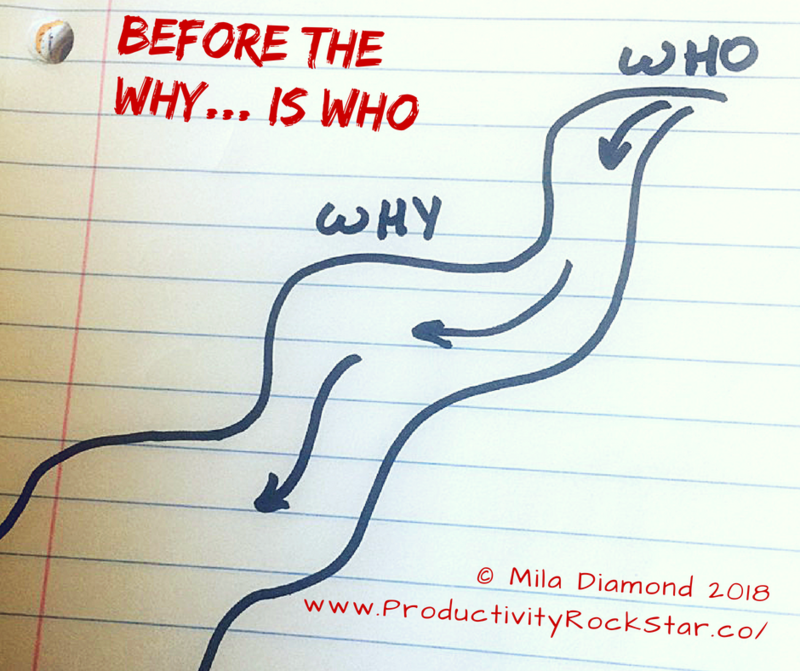 Our WHY flows out directly from WHO we know ourselves to be. For example, if you think “I am the kind of person that gets stressed under pressure”, you will find yourself giving yourself permission to feel overwhelmed when business or life challenges pile on (better known as WTSHTF). Tom says that if you want to CHANGE, create a list describing your IDENTITY as the type of person you WANT to be. By identifying as that person, your actions will begin to reflect the NEW YOU. I invite you to explore this concept EVEN FURTHER. The person who writes this list, still has ideas of WHO they are. These ideas come from CONDITIONING. Your conditioning is like the clothing you wear — It is NOT who you are. Our thoughts hold us hostage to our ideas of WHO we think we are. If there is a way to STOP THOUGHT completely, if we have the courage to let go of everything that we think about ourselves and about WHO we are… If we allow ourselves to enter a complete silence of the mind and emotions, what or WHO will be left? From my experience in deep meditation, when my thought stops and the mind goes silent, there’s a beautiful feeling of PRESENCE, of pure BEING. Free, expansive and complete. In that state of deep meditation, I am not Mila. I am Awareness without limits. Potentiality without an agenda, judgement, or preferences. In that state I don’t identify with ANY personality. What I do perceive from there is unlimited possibility and a clear view that I can be ANYTHING. That light and awareness that you feel in deep meditation, undistracted by your thoughts, is more TRUE to WHO you truly ARE! If you are that pure light of being without limitations, and you live in this physical world, do business, and have relationships, what is the highest, brightest, the most authentic expression THAT would take? What would it look like? Would it be more courageous, powerful, playful, MORE FREE? Above all ideas that you normally hold about yourself, trust who you feel you are in deep meditation. Granted not all meditation practices lead to that depth, but at depth is where the TRUTH lies. So, way before the WHY, we need to look further upstream to discover WHO we are — we need to look into the Source. The further upstream you get, the more TRUE, ALIGNED and ALIVE you feel! From there, your WHY will be aligned with WHO you are. When I work with my clients on their business and personal goals, we go way upstream first to look for WHO they are. Through meditation they learn to let go of their conditioning and connect with their deeper Self. WHO they experience themselves to be in the silence of meditation becomes a TUNING FORK for the way they see themselves in the world. They may see that their WHY was coming from conditioning, whether childhood or cultural. For example, one of my clients originally wanted to have positive relationships with business colleagues in order to make more sales. After learning to meditate and reconnecting with WHO she is at her core, she now sees that her main goal is to grow and expand as a human being and help others to do the same. Her new purpose is to empower others. With this new WHY, her desire to have positive relationships with colleagues resonates with the desires and purpose of those people. They become advocates for her cause. By knowing WHO she is and having the WHY aligned with that, she achieves her original goal, but with much greater impact and with the enthusiasm and help from people whose lives she touched. 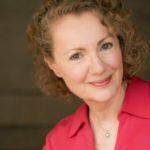 I have been teaching business with meditation for the past 26 years and helped hundreds of people to discover WHO they are. It never ceases to amaze me when I see them step into their power, reach their goals, make triumphant comebacks and rebuild their lives. So this is my wish for you — that you will be able to discover WHO you truly are. Once you do, all your WHY’s will flow from there. If you want to learn more about my programs, drop by my free LIVE webinar on Thursday, July 12th at 8PM Pacific Time. The link to the webinar registration is ProductivityRockStar.co/. I wish you the best! Keep Rocking it and we’ll talk soon!